1963: WHITNEY ELIZABETH HOUSTON is born in East Orange, N.J. to gospel singer Cissy Houston on Aug. 9. 1974: Starts performing as soloist in junior gospel choir at New Hope Baptist Church in Newark, N.J.
1978: Sings backup on mother's album "Think It Over," beginning run of backup performances for artists including Chaka Khan, Jermaine Jackson and Lou Rawls. 1983: Arista records executive sees her performing on stage with her mother, label head Clive Davis sees her soon after and signs her to contract. 1985: Debut album, "Whitney Houston," is released, selling millions and spawning huge hits "How Will I Know," ''You Give Good Love," ''Saving All My Love For You" and "Greatest Love of All." 1987: Multiplatinum follow-up album "Whitney" is released. Includes hits "I Wanna Dance With Somebody," ''So Emotional" and "Where Do Broken Hearts Go." 1988: Records theme song for Seoul Olympics, "One Moment In Time." 1991: Returns to limelight with performance of "The Star Spangled Banner" at the Super Bowl during the first Gulf War. 1992: Stars opposite Kevin Costner in "The Bodyguard." The hit film makes Houston a Hollywood star and its theme song, "I Will Always Love You," becomes a signature hit that tops charts for weeks and wins Grammys for record of the year and best female pop vocal. 1992: Begins high profile and tumultuous marriage to former New Edition member and soul-singing star Bobby Brown. 1993: Has daughter with Brown, Bobbi Kristina. 1995: Stars in movie "Waiting to Exhale." 1996: Stars opposite Denzel Washington in "The Preacher's Wife." 1997: Appears as fairy godmother in TV version of Rogers and Hammerstein's "Cinderella." 1998: Releases album "My Love Is Your Love." Song "It's Not Right But It's Okay" brings Grammy for best female R&B vocal. 2003: Police respond to domestic violence call from Houston about Brown. Police find Houston with cut lip and bruised cheek. 2004: Briefly enters drug rehabilitation clinic. 2005: Returns to drug rehab under court order. 2005: Appears in reality TV show "Being Bobby Brown." 2006: Files for legal separation from Brown. 2009: Comeback album "I Look To You" debuts at top of charts, eventually goes platinum. 2010: In an interview with Oprah Winfrey, declares herself drug free. She would return to rehab in 2011. 2012: Dies at age 48 in a hotel room in Beverly Hills, Calif., on Feb. 11. A lot of words come to mind when you think about what personifies a Woman of Power. Give her confidence, charisma, strength with a teaspoon of personality and there you have it, a Woman of Power. For me, I feel a Woman of Power is much deeper than that definition. As we go through this wonderful journey we call life, we all experience so many emotions. We feel love, hurt, happiness, pain and many others. As a true Woman of Power you must take every experience in life as a lesson, don’t play victim and spend more time learning and growing from your experiences. Only at that time, will you be able to fully grow as a woman and step into your future. A Woman of Power is a woman that never stops dreaming and will do everything in her power to make sure those dreams come true. The best way for me to accurately express what I am saying is by telling my own story and why I feel I am a Woman of Power. I was born in a very small town in Mississippi. Even at a very early age, I always knew that I wanted to be an entrepreneur and I wanted to truly experience life. Two weeks after graduating from Mississippi State University with a degree in Communications, I moved to Atlanta, GA with no job prospects at all. All I had was a pocket full of dreams that was ready to dominate my life. Within my 10 years of living in Atlanta, I started my own company called Prominence Marketing Group. 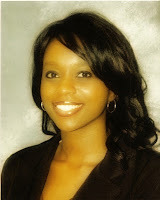 I had the opportunity to work on several national entertainment projects and garner a well respected brand for myself. I also achieved a Masters of Business Administration & a Masters of Human Resource Management degree. Although I did accomplish a lot, I still did not feel complete. I honestly felt like I was settling and not really reaching my true potential. I woke up one day and said it is time for me to leave Atlanta and two days later I left. As I drove down the interstate all I could do was smile because I knew God was leading me to the next stage of my journey. I had no clue what was next for me, all I had was that same pocket full of dreams, and I knew those dreams would lead the way. Currently I live in New York City, the city where dreams do and can come true. I feel motivated more so now than ever and I stay 100% dedicated on making sure I live each day to the fullest and never settling with any aspect of my life. This is what makes me a Woman of Power. I am truly blessed to have some very successful people in my life that I can honestly say are my friends. They encourage, support and nurture all of my dreams and aspirations. I encourage everyone that is reading this to NEVER STOP DREAMING and go after your true destiny. It awaits you. No man or woman is an island! We all need people. Anyone who says they don’t isn’t telling you the truth. In businesses, families and friend circles, we depend upon and share in the brilliance of others. We can not get through this life without other people. Period. To be honest, it would be a boring life even if we tried. Every smart and successful business person has a great team of people around them in which they consult and build. They may call these people friends, advisors, partners, board members, and sometimes spouses. For the purposes of this blog, we will refer to them all and deal with them as “partners”. When building successful business ventures, there are certain qualities your partners should demonstrate to secure the success of your business. Who you choose to partner with is the first, major and most important decision you will make for any business venture. Are you wondering about signing that new commercial lease with your long time friend? Are you considering a project with that ‘fast-talking’ colleague? Who will serve as a good board member for your new non-profit? Will the new guy / girl you are dating make a good spouse (in the spirit of Valentine’s Day ;-))? To help with selecting a good partner, see if your potentials meet DAP Legal’s Partner Requirement Checklist. ü Are they loyal? – Quite simply, loyalty is the foundation of any great partnership. At all times, your partner should act in the best interest of the business and the partners. They must place the business of the partnership before everyone including his or her own. This would include them recognizing conflicts of interest and properly extinguishing those conflicts when they exist. If loyalty is not present, then a partnership does not exist. ü Are they obedient? – Obedience is not always a bad word. Do they have a “get it done” attitude? For guaranteed success, you need a partner that can become humble and serve the needs of the business promptly and efficiently. ü Do they fully disclose? – No one likes to be the last to know! Your partner must fully disclose any important and relevant information known pertaining to the business of the partnership. Your partner should tell the truth and tell it all!! Withholding such information from the partnership can totally kill the business. ü Do they honor confidentiality? – Loose lips sinks ships! To protect the integrity of the business, your partner must safeguard and keep secrets of the partnership confidential. Sharing confidential information reveals vulnerabilities (or trade secret strengths) about the business that could either kill the business or overly expose it to many different liabilities. ü Do they exhibit reasonable care and diligence? 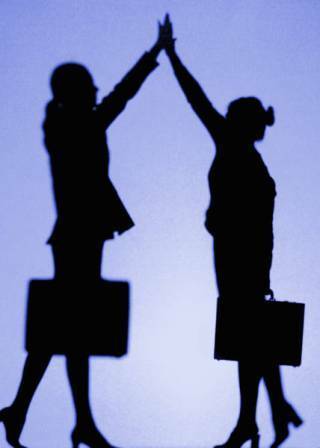 – You want your partner to act thoroughly and resourcefully when conducting business for the partnership. If your partner does not know the answer, then you want them to figure it out. If your partner can not provide a necessary service for the business, then you want them to find a professional that can. You want smart and informed partners on your team that are able to make good decisions. ü Will they provide you an accurate accounting? – Last but not least, you must be able to trust your partner around money and valuables belonging to the partnership. You are in business to make a profit. You do not want partners on your team that are bad with money or who can’t be trusted with the valuables. Now that you have finished going through this list, go back through again and make sure that you meet these requirements as well. Will you be a good partner? On the legal side of it all, partners, board members, executive officers and spouses may suffer legal consequences if any of these above duties are breached. So, let’s avoid the big legal mess later and properly vet the people you get involved with in your business ventures. Whether it’s a multi-million dollar joint venture or a justice of the peace marital union, make sure you know whom you are getting into bed with… literally and figuratively. 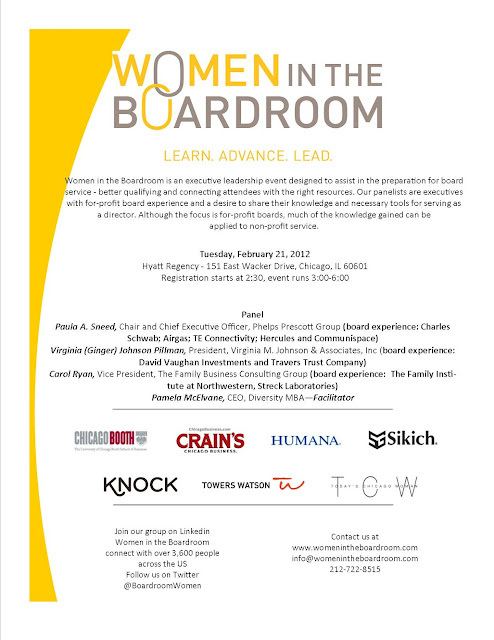 Register at www.womenintheboardroom.com to attend! Doreen Rainey knows what it’s like to get RADICAL. She left her corporate career in HR to start her professional and personal development company in 2005 and then launched her first Get RADICAL Women’s Conference in 2009 with nothing but faith and belief. 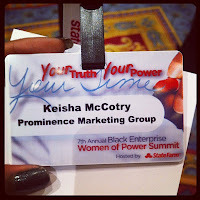 Since then, her conference has grown into a three day experience attracting women from around the world. 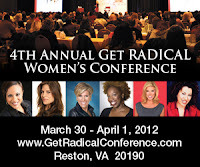 Now in it’s 4th year, the conference, taking place March 30 – April 1 in the Washington, DC area, boasts astellar line-up of keynote speakers including nationally recognized health & wellness expert and best-selling author Jillian Michaels; financial advice powerhouse and Forbes’ “100 Most Powerful Woman,” Suze Orman; the voice of entrepreneurial success for women and founder of Ali International, LLC Ali Brown; best-selling author and internationally recognized life coach and founder of Motivating The Masses, Lisa Nichols; and former editor of Essence magazine and author of “Having What Matters” Monique Greenwood, also owner of the acclaimed Akwaaba Luxury Bed & Breakfast Inns. Doreen’s goal is to deliver a high energy, content-rich program with interactive workshops from renowned speakers and experts sharing their insights and experiences so that attendees can leave better equipped to take charge of their career/business, finances and relationships. Women have already registered from Australia, the United Kingdom, Spain and all across the US, including Alaska. “I meet so many people who know what they want, but aren’t sure of the steps to get there. 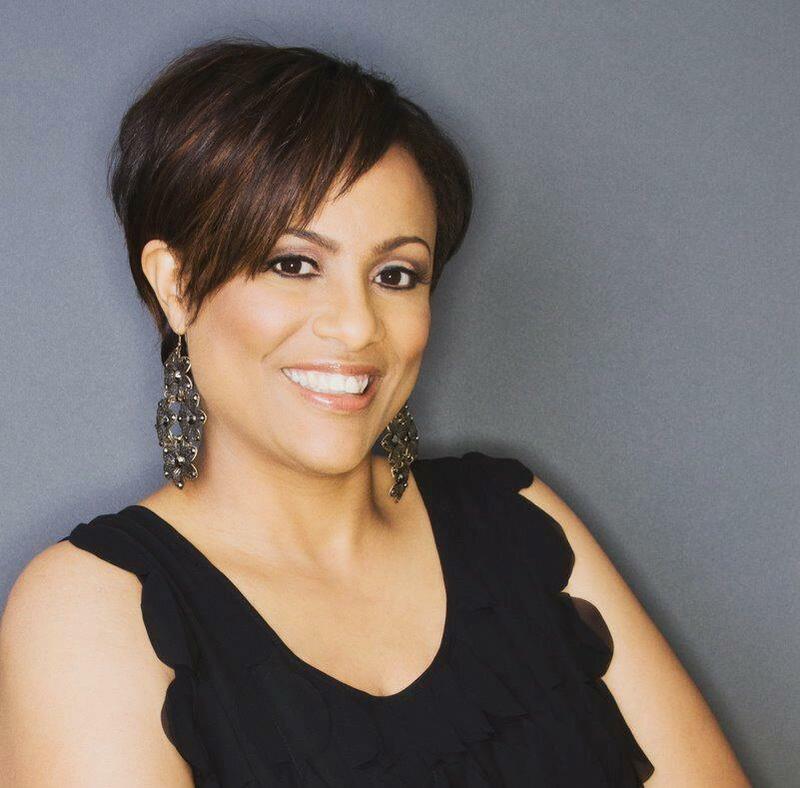 This conference offers practical, tangible and implementable tools, strategies and resources for women to know exactly what steps they need to take to get to the next level,” says Doreen. This event is also about connection and community. When you register, in addition to a ticket to the conference, you also get another ticket to give to a friend. But your benefits don’t end there. You’ll also receive a 30-day accountability class hosted by Doreen and a 12-month membership into her RADICAL Success Institute. This provides the supportive environment attendees need to stay focused and move forward on the goals they set at the conference. 1. Take Responsibility: While it can be easy, and sometimes justifiable, to place blame on other people, situations or circumstances, RADICAL women take responsibility for themselves and achieving the goals they’ve set. 2. Have Clear Intentions: Know exactly why you want what you want. The goal itself is never enough to keep you going when you want to stop. It’s the “why” behind the goal that gets you back up when you’re knocked down, frustrated and ready to quit. 3. Have A Detailed Plan: Sounds simple. Probably not new information. But most people don’t have it. They have a few things in their head and fewer things jotted down with milestones, action steps and accountability structures. RADICAL success doesn’t happen by chance. 4. Take action: The best laid plans create nothing if never activated. Everyday, do something that takes you one step (or three…five…or ten steps) closer to your goal. Don’t talk about it. Be in action about it. Let people see your progress – that’s when the support and buy-in comes. 5. Be Ready for Setbacks, Disappointments, and Obstacles: Why? Because they are coming. No one achieves anything without experiencing one or all three of these. They don’t have to be catastrophic, but they do need to be dealt with so you can move on in the greatness that you are here to create. Click to learn more about the Radical Women's Conference Register Today!